Proprietary Name: Lubricant Eye Drops High Performance What is the Proprietary Name? Non-Proprietary Name: Polyethylene Glycol, Propylene Glycol What is the Non-Proprietary Name? 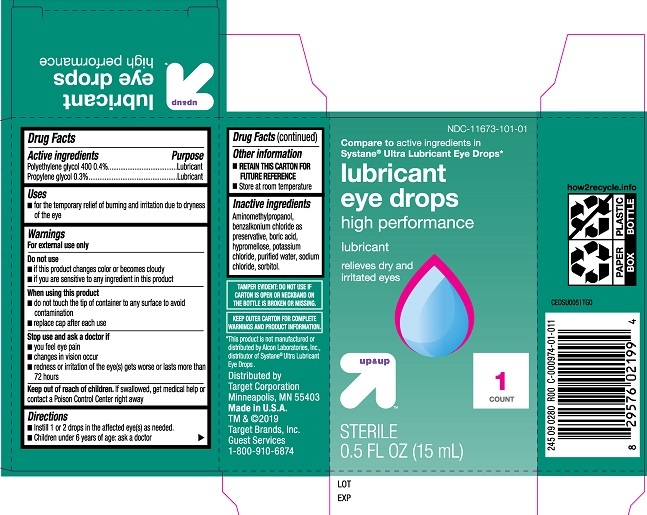 55651 - Kc Pharmaceuticals, Inc.
Lubricant Eye Drops High Performance with NDC 55651-101 is a a human over the counter drug product labeled by Kc Pharmaceuticals, Inc.. The generic name of Lubricant Eye Drops High Performance is polyethylene glycol, propylene glycol. The product's dosage form is liquid and is administered via ophthalmic form. Labeler Name: Kc Pharmaceuticals, Inc.
Keep out of reach of childrenIf swallowed, get medical help or contact a Poison Control Centerright away.